Restream Professional subscription plan includes advanced additional features which will help you utilize so much more out of multi casting. This plan will be most suitable for professional streamers\casters which take their craft seriously. What's the options included in the plan? Everything that you already can use as a free user and what's included in Standard. 3x Doubling to add 3 more channels of any supported service. 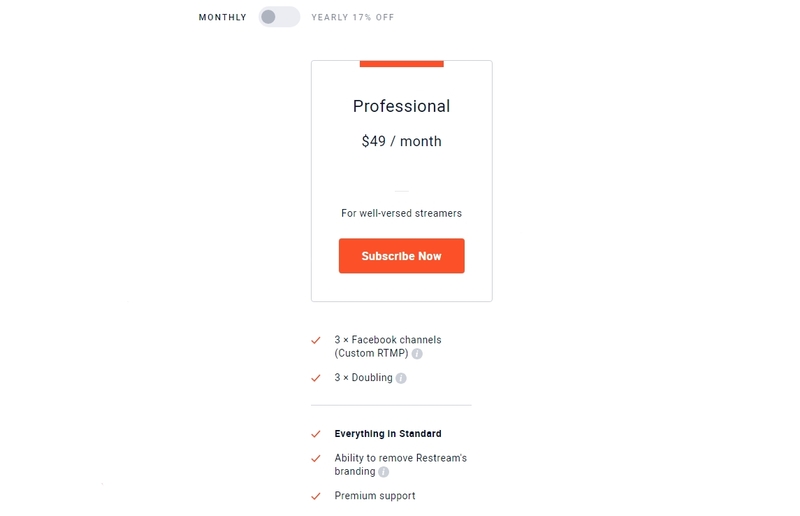 Important: This plan is only for personal content streaming!